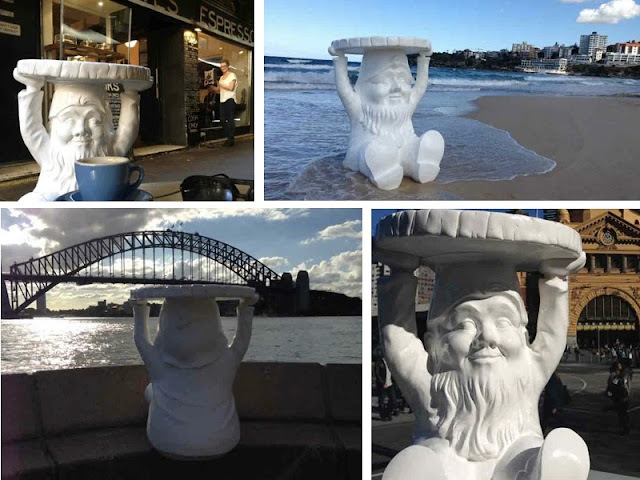 Since Philippe Starck designed it in 2007, Kartell's cute and playful Attila Gnome has been popping up in bright colours, and more recently in black and gold. Now these delightful table-stools have been produced in a special edition white and are only available to Kartell in Australia. Use them as a stool or side table outside.